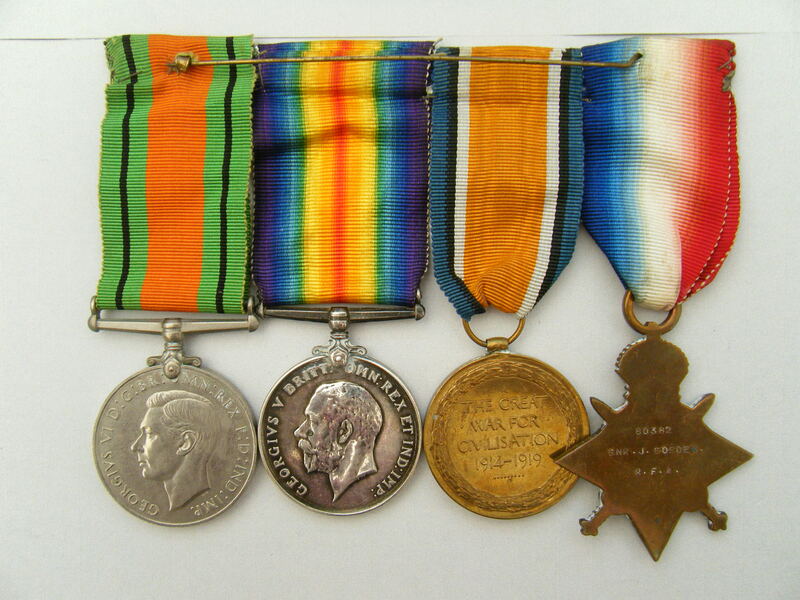 A WW1 Trio and WW2 Defence Medal awarded to Gunner 80382 (later 228098) Jack Gosden, Royal Field Artillery (later Royal Garrison Artillery). Gosden’s Medal Index Card confirms that he entered France on the 2nd February 1915. It can be viewed by clicking on here ((if you have access to Ancestry although a paper copy will be provided). I have been unable to identify any service records to this man. 1915 Star named to 80382. GNR. J. GOSDEN., R.F.A. 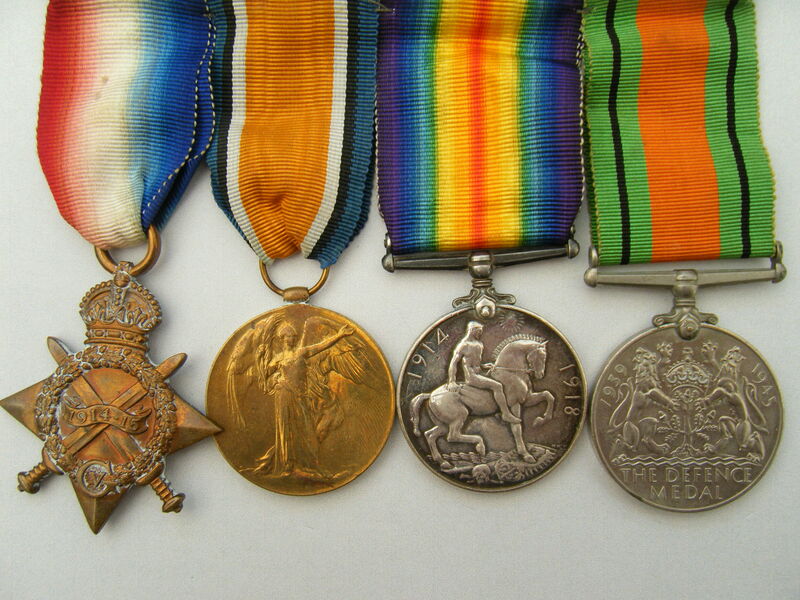 British War Medal and Victory Medal named to 80382. GNR. J. 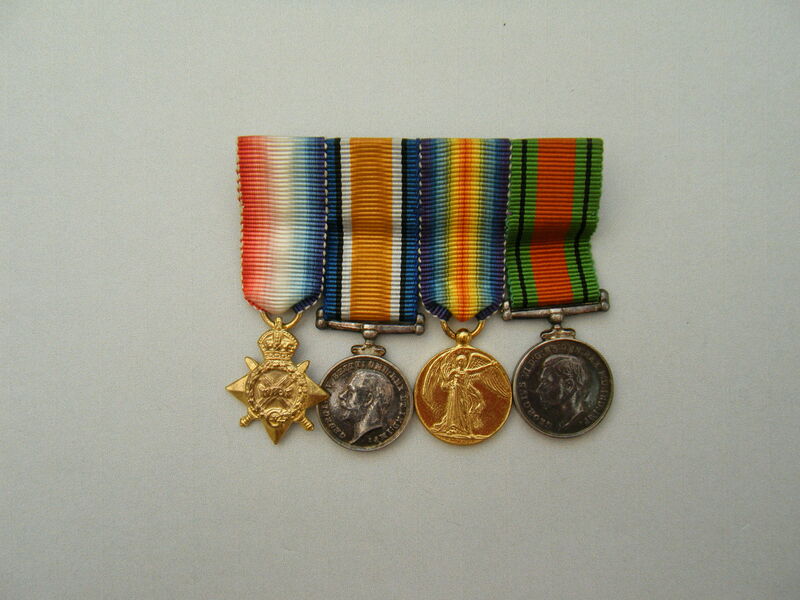 GOSDEN., R.A.
Defence Medal unnamed - issued for undertaking some civil defence service during WW2. 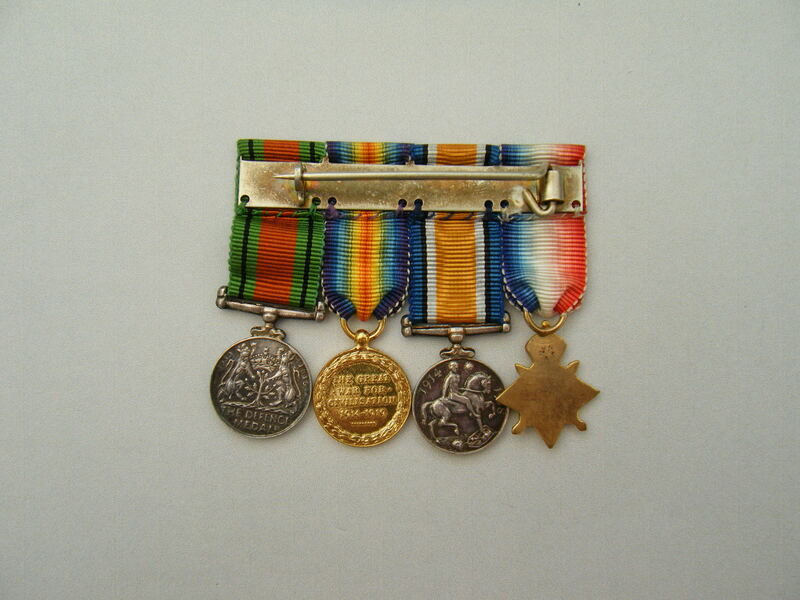 The medals are swing mounted with their original ribbons (although in the wrong order and with the medals the wrong way round in some instances). Because they are original ribbons I have not damaged them by removing them from their swing mounting. 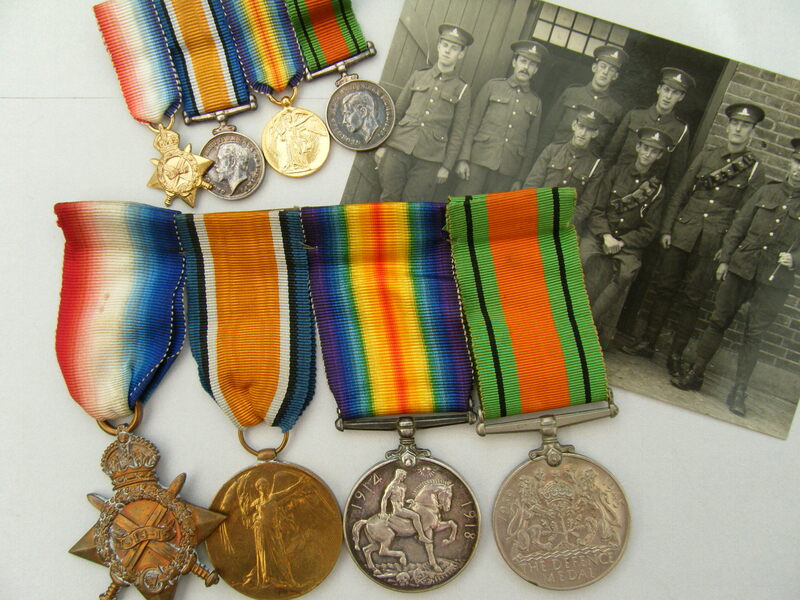 Also included is a contemporary set of matching miniature medals again with original ribbons along with a unit photo, although I it has no indication as to which one is Gosden.